Tree Wise Men can offer a full stump removal service. This means grinding the stump out to below ground level, leaving you with a level surface to work with. 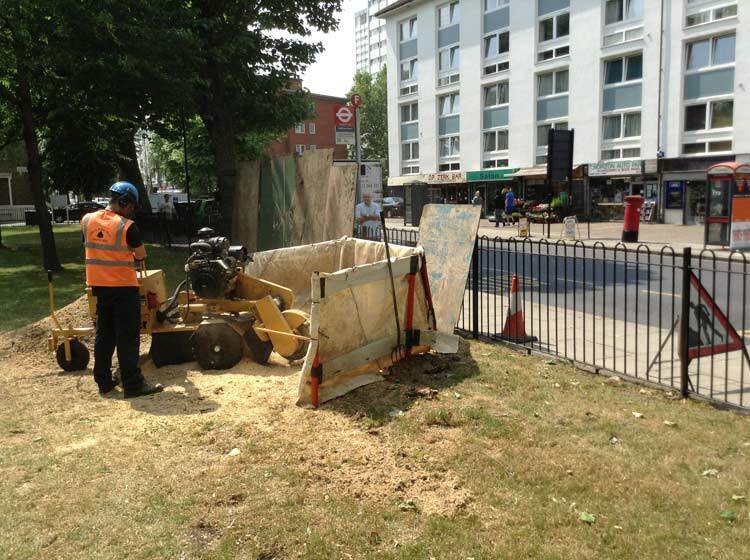 We place no restrictions on stump size, therefore all jobs can be completed in full. This offers you a quality service and the convenience of having the whole job completed at the same time. The stump grinder is compact enough to have easy access through most houses.